Sinterklaas will be making his annual visit to the Dekker Huis Museum in Zeeland on Saturday, December 2 from 10 a.m. until noon. This has been a tradition at the museum for the past ten years. "The museum will be decorated for his visit and there will be many activities for children," said organizer Debbie Albert. "Children of all ages will enjoy a scavenger hunt, craft, kitchen activity, and of course, time to visit with Sinterklaas and hear his story. We encourage parents to take pictures to record this fun day!" This event is free, but donations are always appreciated. 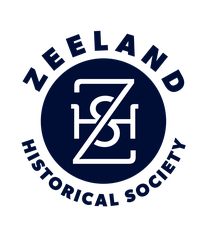 The Dekker Huis Museum is located at 37 East Main Avenue in Zeeland and its mission is to keep the history of Zeeland alive for future generations. 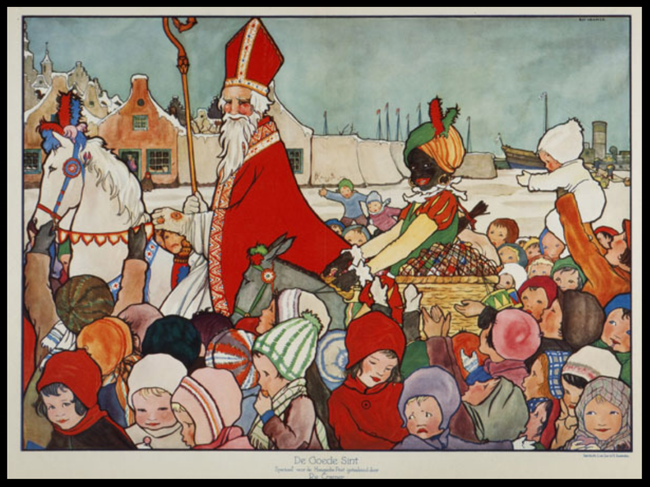 On December 5th in the Netherlands, children are visited by Sinterklaas (St. Nicholas) and Zwarte Piet (Black Peter). According to legend, Sinterklaas is very rich and lives in a castle in Spain. In mid-November, he travels by steamship to the Netherlands with all of his helpers, Zwarte Piets, and the gifts for the children. When he arrives, he departs his ship and travels through the country on Amerigo, his white horse, and all of the Zwarte Piets accompany him. Sinterklaas wears a long red cape, a white bishop’s dress and a red bishop’s hat. He also holds a long gold-colored staff with a curled top. Sinterklaas carries a big book that tells whether each individual child has been good or naughty in the past year. Zwarte Piet, has a black face and hands because he enters the house through the chimney. Sinterklaas and his Zwarte Piets usually carry a bag with candy and gifts for nice children, and willow branches used to spank naughty children.